We’re excited to share some major updates in your Sellics PPC/AMS Manager! Amazon recently released new Product Targeting and bid optimization features (dynamic bidding & placement bid adjustments) for Sponsored Products. 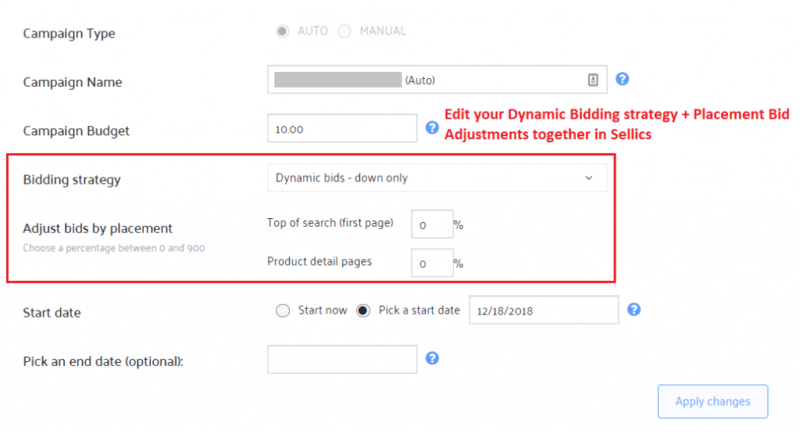 These features were quickly integrated into our PPC/AMS Manager, which means sellers and vendors can now optimize Product Targeting campaigns and manage their new bidding strategies directly in Sellics. What’s new in my PPC/AMS Manager? All campaigns in your PPC/AMS Manager ‘Campaign’ tab are now marked with a ‘K’ (Keyword) or ‘P’ (Product) symbol to signify whether the campaign is using keyword or product targeting. This is not visible in Seller/Vendor Central, which makes it difficult for advertisers to immediately identify which campaigns are using keyword or product targeting. You can also navigate to the ‘Targets’ tab to see which campaigns are using Keyword targeting, Category targeting, or ASIN targeting. In your ‘Searchterms’ tab you will now see a list of all the ASINs that your ad is showing up for. For your campaigns using ASIN Targeting, your targeted product’s image, title, and ASIN will also be displayed in your PPC/AMS Manager. Within Seller Central and the Advertising Console (for vendors), only the ASIN associated with the campaign is displayed, which makes it difficult to quickly identify the targeted products you wish to evaluate. 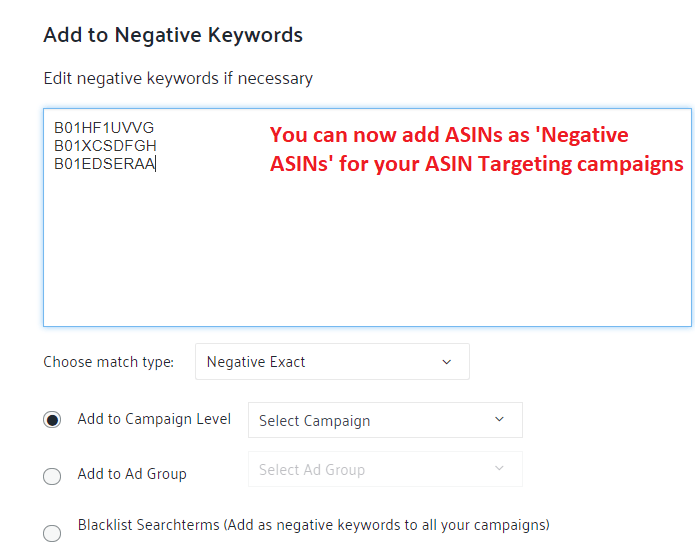 You can now add ASINs to Negative in bulk for your ASIN Targeting campaigns. This is a very useful feature that will ensure your ad does not show up for certain ASINs; i.e. for products you do not want to compete with, and/or where you know your conversion rate will be low. 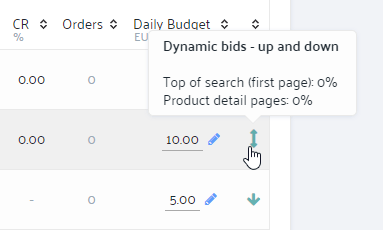 You can now see your bid strategy for Dynamic Bidding under your ‘Campaign’ tab. Simply hover over the arrow icon (see below image), and you will see the bid strategy (down only, up and down, fixed bids) you have chosen for that campaign. 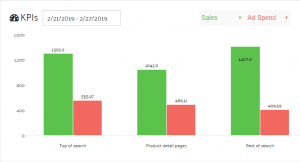 We also show you the breakdown of your Placement Bid Adjustments, so you can immediately see the bid percentages you’ve allocated for Top of Search and Product Detail Pages. You also have the ability to edit your Dynamic Bidding strategy and your Placement Bid Adjustments together when you select ‘Edit Campaign Settings’. In our upcoming Sponsored Products Product Targeting feature update, you will be able to setup bid automation for your Product ASIN Targeting campaigns. Stay tuned!